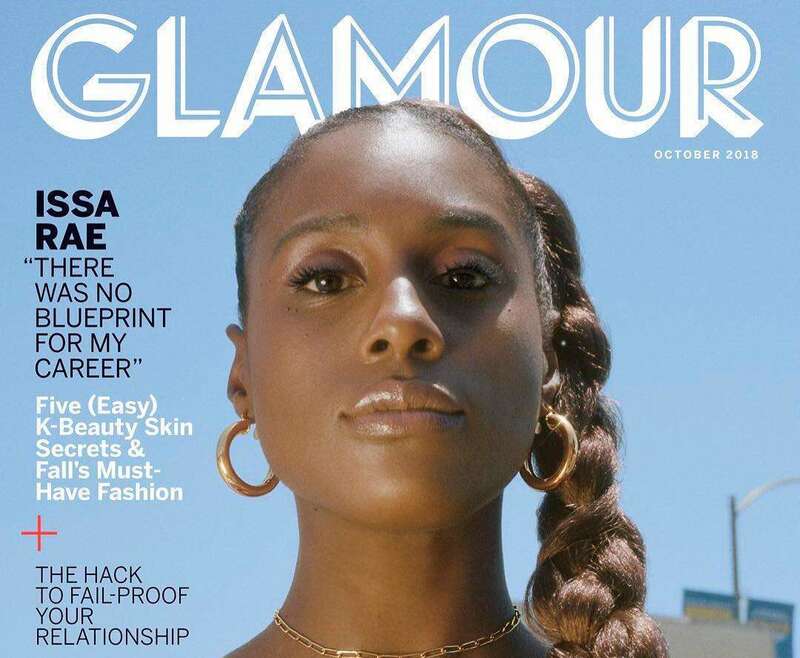 The creator or HBO’s Insecure, Issa Rae poses on the cover of Glamour Magazine Tv issue. The issue features Amy Poehler, Hasan Minhaj, Lili Reinhart, Lakeith Stanfield and many other stars. On her uncertainity about her future in entertainment: The embarrassment came from making a YouTube series while all of my friends were being doctors, lawyers, diplomats, all of those different things. Those postcollege questions—did I have to go to college to do this? Did I have to pay hundreds of thousands of dollars to make YouTube videos?—that was embarrassing for me. On South L.A. and the gentrification that’s transforming it: White people left the neighborhood, there was white flight, and now they’re coming back and pushing us out. I’m moving back there—that’s what I want—but I’ve already seen the change. It’s disheartening. On being criticized when a section from her 2015 memoir, The Misadventures of Awkward Black Girl was taken out of context: I was like, ‘Are they serious?’ Literally the chapter before, I say I’ve never even dated interracially,” she says. “That felt like a classic case of people looking for something to be upset with. I knew it was going to happen eventually, but it was just very, very interesting to me.